Wyllie was born in London in 1851 and became famous and successful through painting maritime scenes in both oil and watercolour, many of which he published as editions of etchings. Wyllie himself created the etchings from his own pictures. His name spread, along with that of Charles Dixon, when he worked as an illustrator in the late Victorian era for the popular illustrated tabloids, The Graphic and the Illustrated London News. 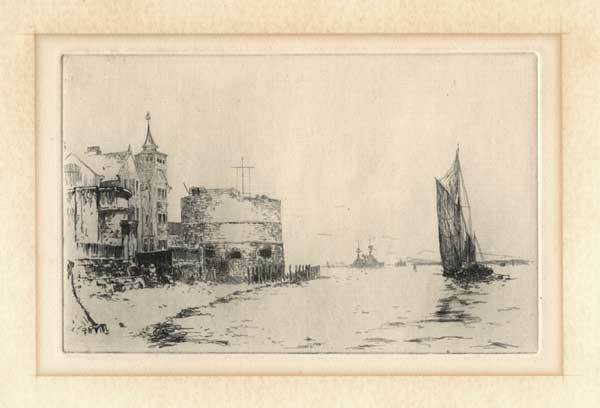 Wyllie lived in Portsmouth for many years in the early 20th Century in the iconic Tower House, washed by the waters of the very entrance to Portsmouth Harbour. 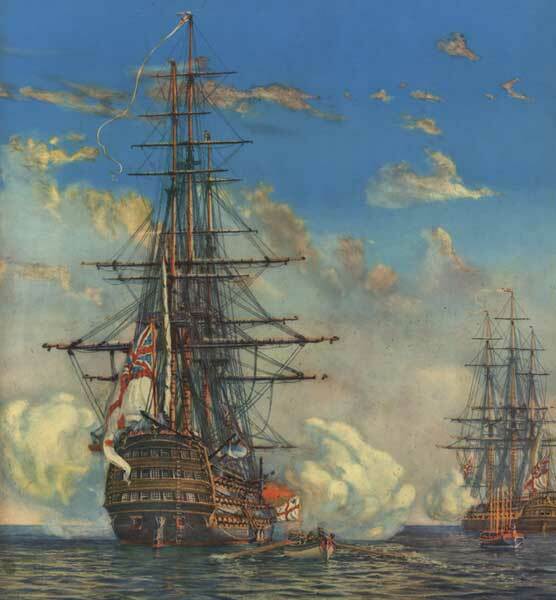 A notable Wyllie artwork is a picture ("Come to Southsea and Board the Old Ship") showing public access to Britain's iconic 18th-century warship, HMS Victory, on which Admiral Lord Nelson died while leading the great 1805 defeat at Trafalgar of Napoleon's ambitions to invade Britain. This picture is also for sale here. Wyllie was a prime mover in the public campaign to get HMS Victory moved from lying idly out in the waters of Portsmouth Harbour on the English south coast to her current position in dry dock as a visitor attraction at Portsmouth Historic Dockyard, just a few yards from where current RN aircraft carriers and other warships come and go. She is now one of Britain's favourite tourist attractions and is only a few yards from the remains of Tudor Warship Mary Rose. HMS Victory remains a serving warship in the Royal Navy and is the flagship of Britain's Second Sea Lord. Copyright © 2019 Artists Harbour Ltd.